Earlier this year I wrote about my food goals for 2015, and one of them is to be more conscious about choosing to cook with seasonal foods. The reason for this is two-fold; first, if a food item is in season it probably didn’t have to travel all the way from the other side of the world to get to you (loosing essential nutrients along the way), and secondly, eating seasonally is better for our digestion and long term health. Although I find methi at my local Indian store, and even my mainstream supermarket throughout the year, July and August are the months when I find it is the most fragrant and fresh. 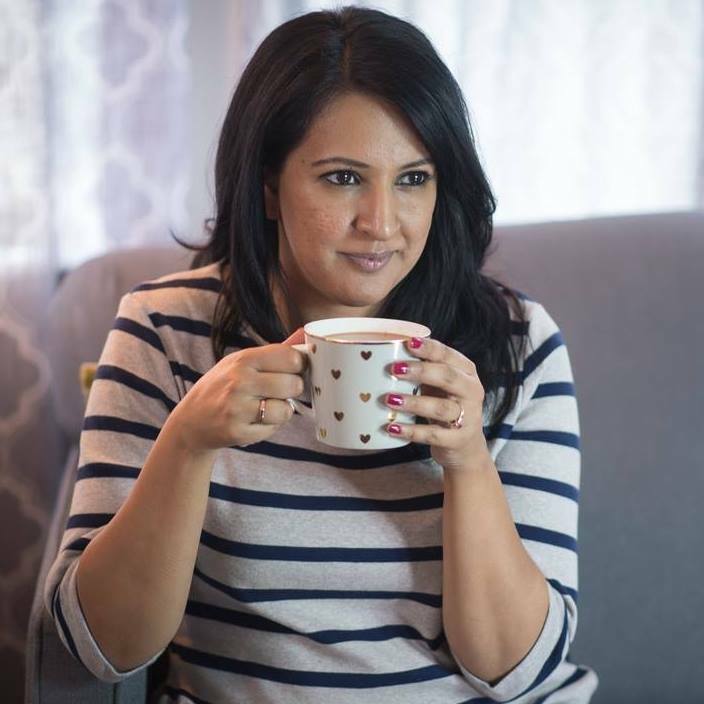 I asked my mom when actual methi season is, and she thought maybe it was closer to February/March in Punjab, but here in Western Canada most home gardeners start to see their methi plants sprout when the weather really heats up. 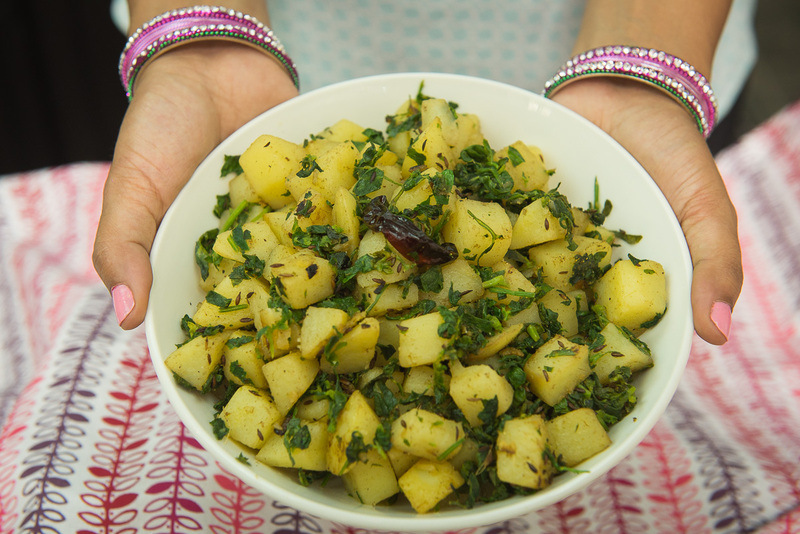 There are a lot of different recipes that feature methi leaves, but I would say the best place to start if you haven’t used them much in your cooking is a simple aloo methi sabzi. 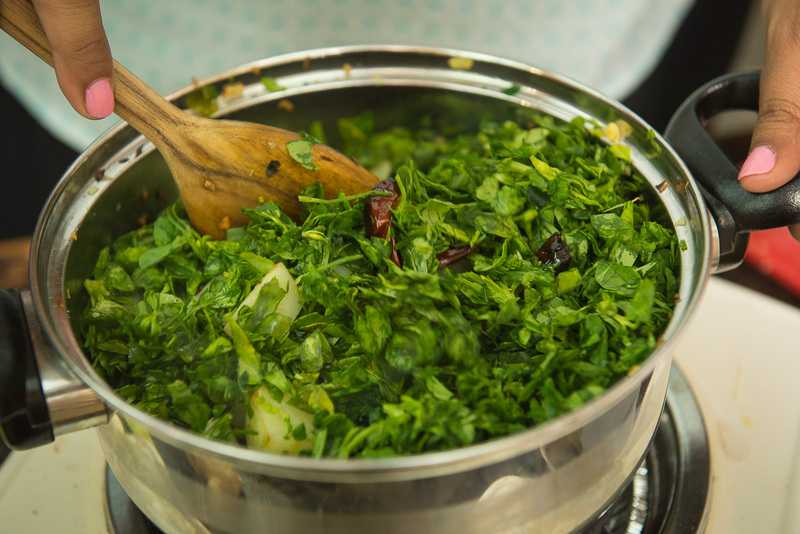 This sabzi uses no onions and limited spices, so the methi is really the star of the show. As an added bonus, you can get this on the table in less than 30 minutes! 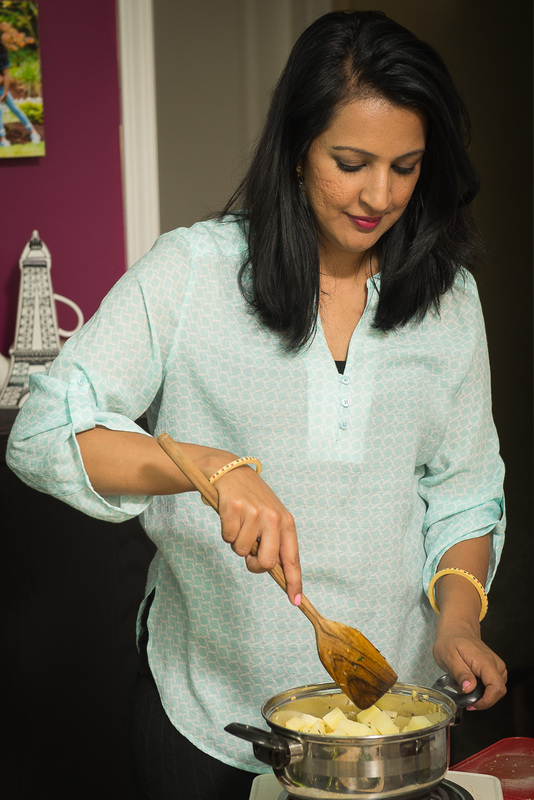 *Note – dried Kashmiri red chillies have less heat than regular red chillies so I choose to use them in this dish. If you like really spicy food you can substitute with chopped green chilly. 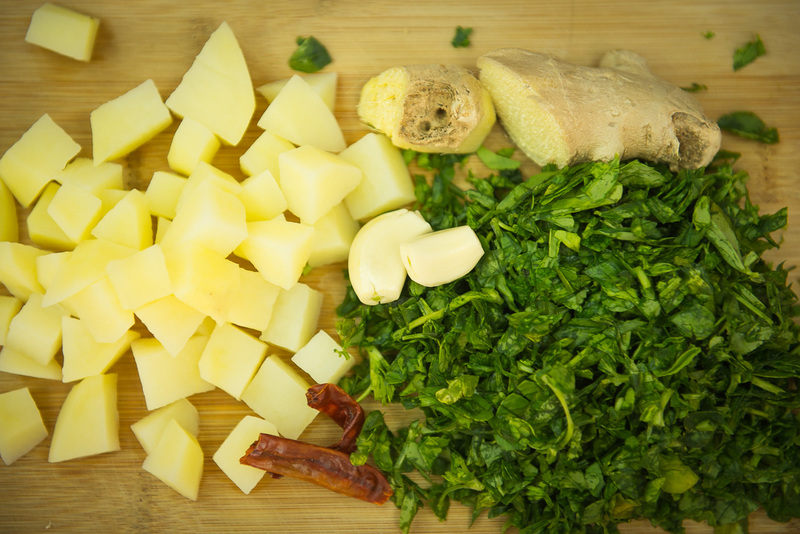 Don’t forget – this recipe calls for parboiled potatoes! 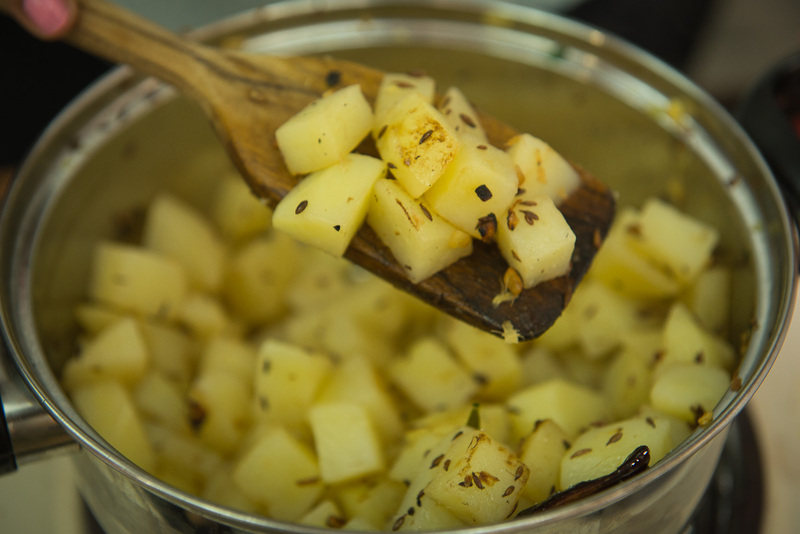 To parboil potatoes add them to 6-7 cups of cold water, bring up to a boil, cover and cook for 5 minutes. Then drain them out and keep aside in a colander until the recipe calls for them. 1. 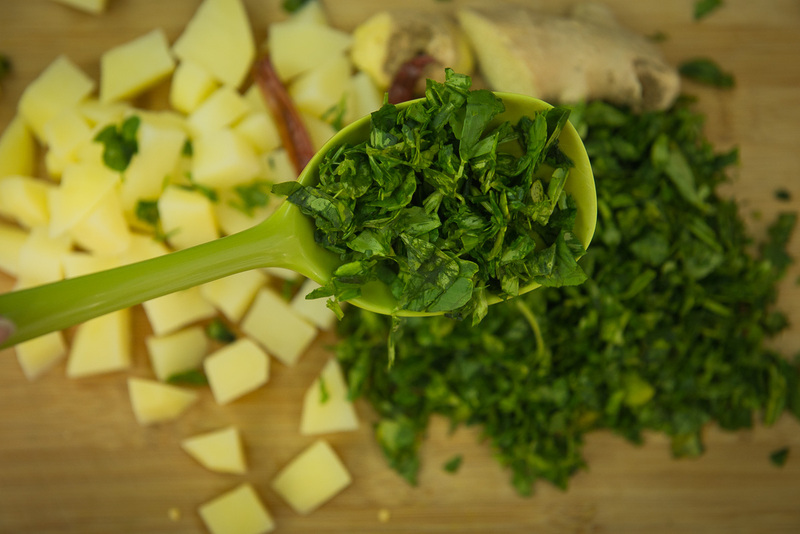 Wash methi, dry thoroughly, chop finely. Make sure all the water is squeezed out before chopping. 2. 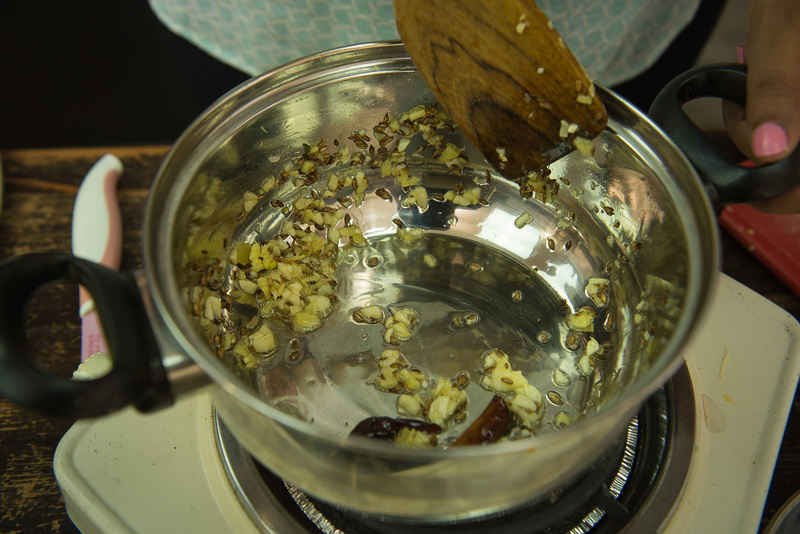 Heat ghee (or oil) and add jeera, allow to splatter for 1-2 minutes. Add ginger and garlic to ghee and brown for 2-3 minutes, then add the red chillies. 3. Add the potatoes and stir fry about 5-7 minutes until potatoes are brown and crisp at the edges. Once the potatoes are crisped add salt. 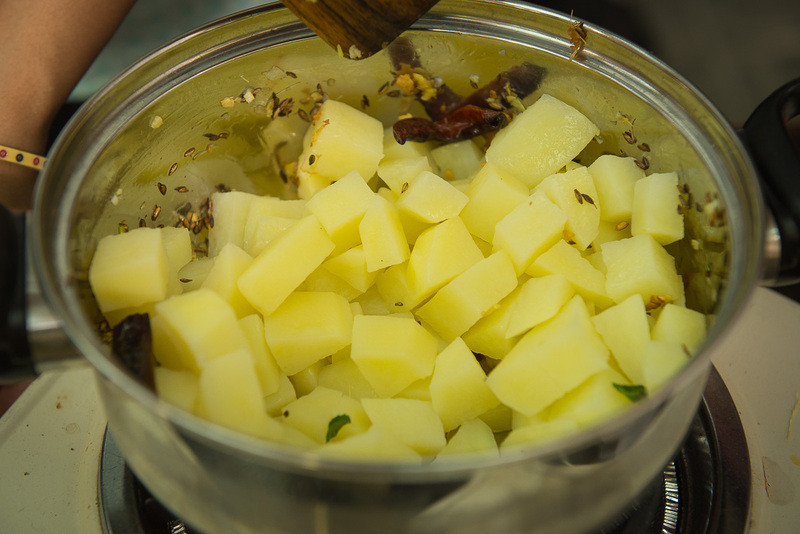 (Salt is not added earlier in the process to prevent the potatoes from releasing water and becoming mushy). 4. 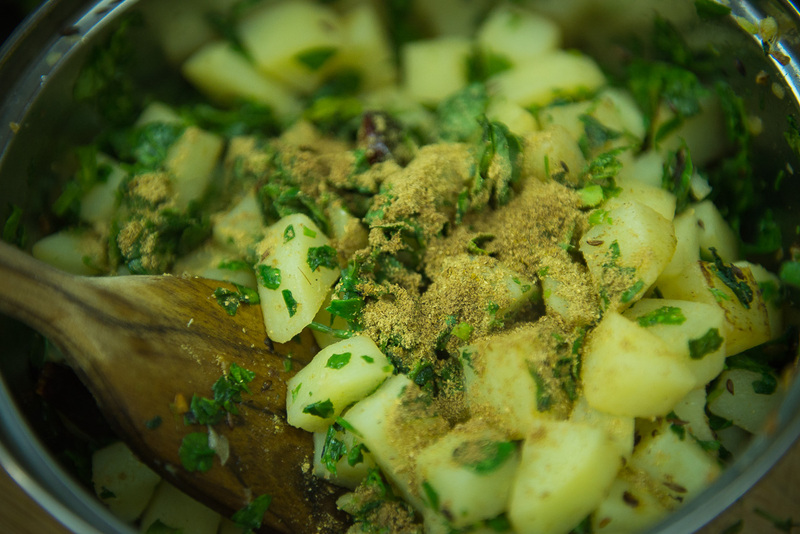 Add methi, coriander powder and garam masala. Cook covered for 10 minutes on a low flame. That’s it! 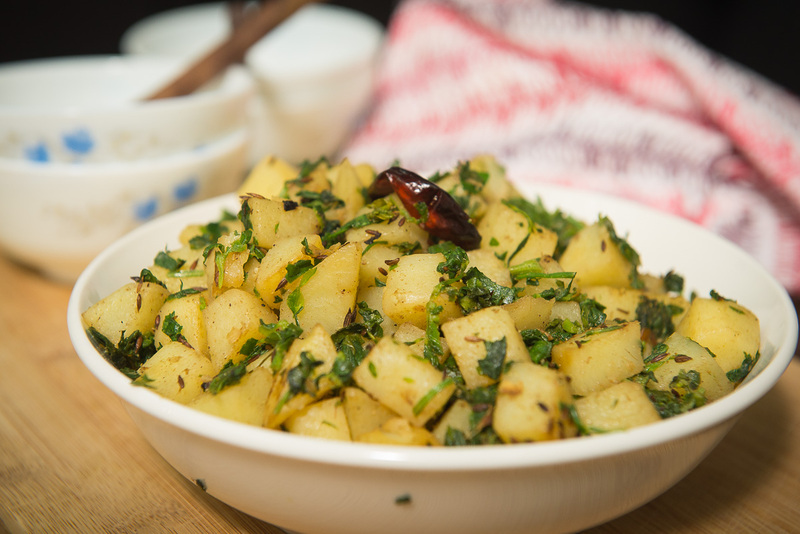 You can serve your aloo methi warm with a side of roti and a little cucumber raita for the perfect summer meal.